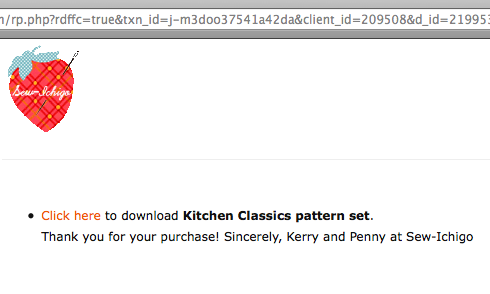 Got your kitchen classics set yet? If not, you're in luck! Head on over to Joy's blog, the owner of A Joyful Soul Fabric shop and enter the giveaway she is hosting for two Kitchen Classics paper piecing pattern sets! Joy pieced this and will be using it for her kitchenAid cover she will be posting about on Wednesday! Isn't it fab??? 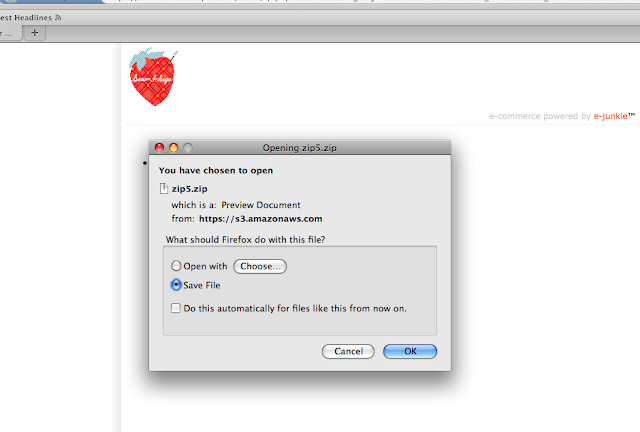 Clicking will take you to the option to save the file somewhere onto your computer . 26th May 2012 Edited to add- we have now managed to make this a single PDF download without a Zip file but I will leave the rest of the info below as it is useful for other downloads you might use! With a single download, all you will need to do is save it either onto hard drive, disc or cloud e.g. Dropbox. As our files are quite big we store them in a Zip file which compresses the size and makes them easier to handle. Inside the Zip files you will find 3 PDF files for this pattern set. 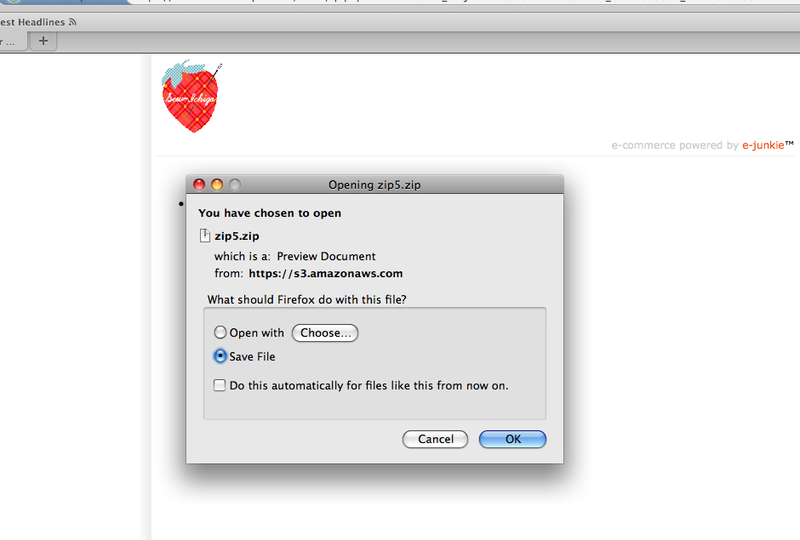 My email links automatically opens through firefox and the default option is to save the file so I click OK. The Zip file automatically saves to a file called Downloads, it may be a different place for your computer. 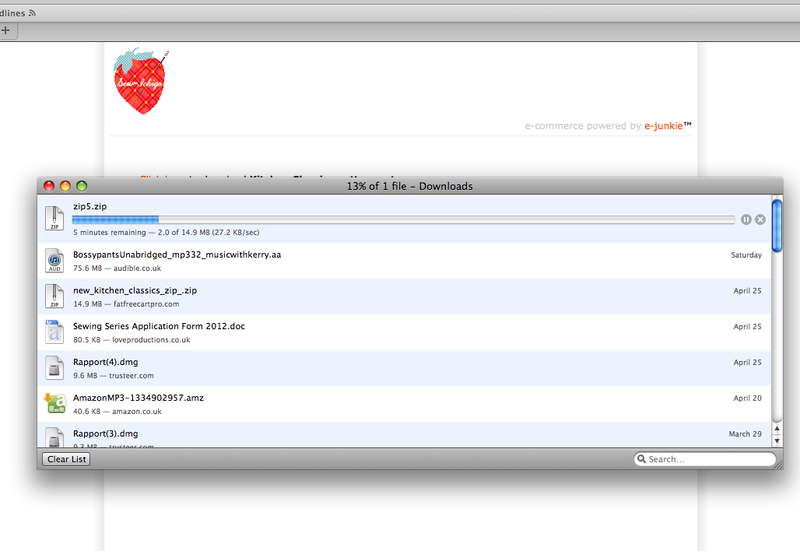 Give it a little time to download...watch the blue line to see when it is ready! 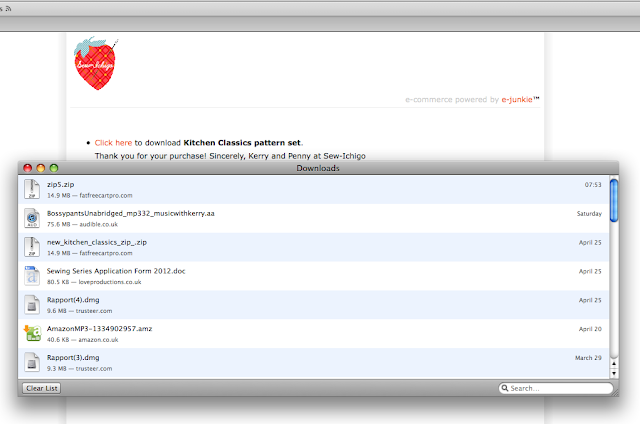 And a folder called Zip5 pops out- you can see it at the top in the pic below. You could save the whole folder- right click and save on the location of your choice, I usually chose Desktop initially so it is in easy reach. When you open the folder you finally get to the PDF files inside. In the first file, pages 1-13 this is the front cover, now you can start using your pattern! I also have an ipad so to make sure I can access all my PDF patterns on it I save them to Dropbox and have a folder for all my PDF patterns. I like to use my ipad to display instructions rather than print them out so this is an ideal way to have all project available. Dropbox is a free 'Cloud' based storage system, basically an online filing cabinet which you can store files on for either easy access or security- a crashed computer would mean losing all your PDF patterns amongst all the other things. There are other Cloud systems out there as well as Dropbox.